Honor the athletes and coaches in your life. Budsies Selfies are the ultimate way to immortalize greatness. 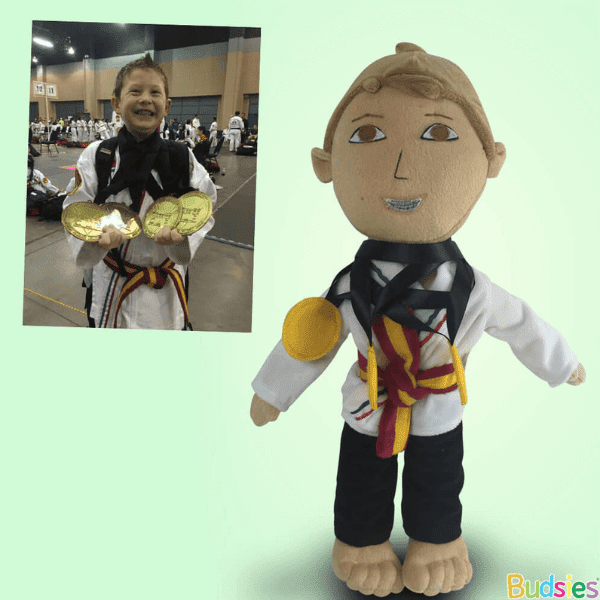 Custom plush figurines made in the likeness of you, your friends, your coach, or your players. A unique gift for any athlete: basketball, lacrosse, hockey, baseball, race car driving, swimming, etc. Perfect for any occasion: whether it's the end of a game, end of a season, or end of an era. The hardworking, hard training people in our lives deserve to feel appreciated. Celebrate their passion for their sport with a unique, one-of-a-kind gift they'll love to show off to all their friends. From hitting a game-winning homer to nailing a 3-pointer, athlete's accomplishments deserve to be recognized. 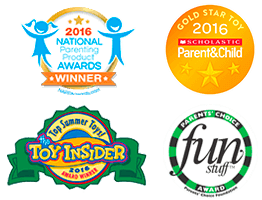 Our handmade custom plush figurines are the most unique and personalized way to mark those important moments. 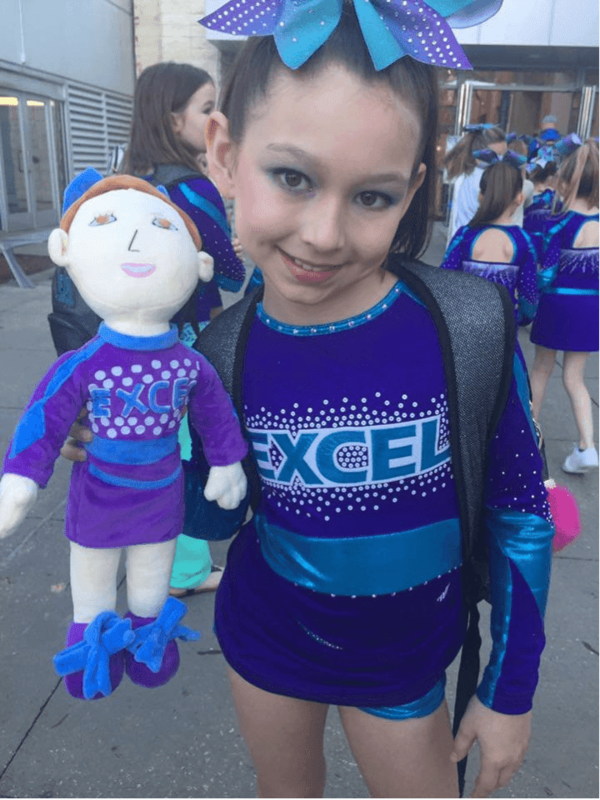 And every time they look at their mini-me doll, it will connect them back to the pride and happiness they felt in that moment. 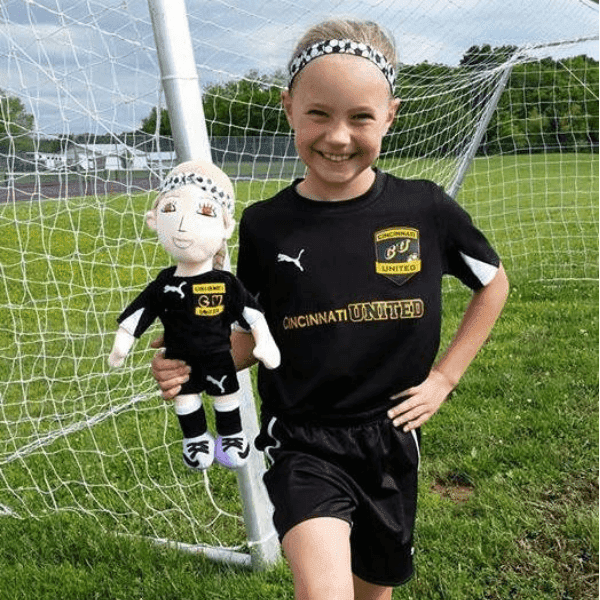 Our custom plush dolls are a unique gift for every athlete imaginable—from intramural soccer to a professional player. And the receiver will no doubt be amused, flattered and touched by your thoughtfulness and originality. Not to mention, they'll be the envy of all their friends! 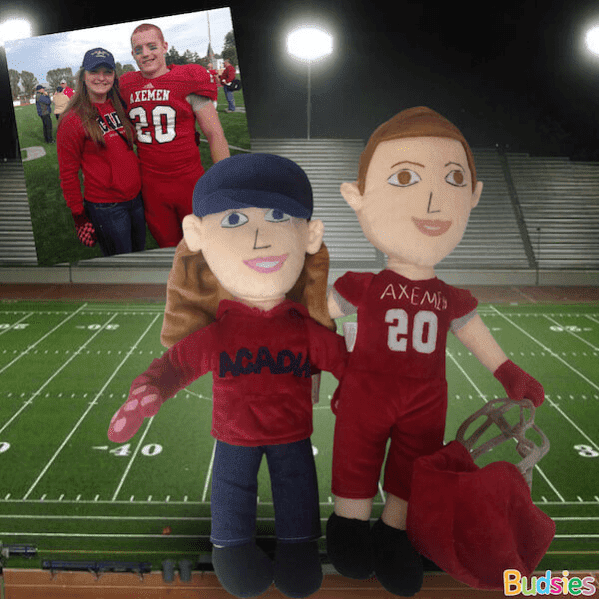 Whether you are a mom making a mini me of your kiddo or a coach celebrating the accomplishments of your college MVPs, everyone appreciates a giant custom figurine. 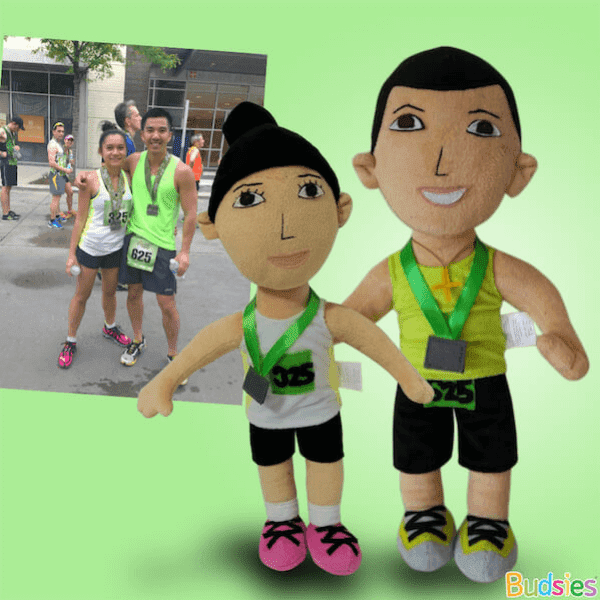 A picture may be worth a thousand words, but our custom plush Budsie Selfies will leave you speechless. 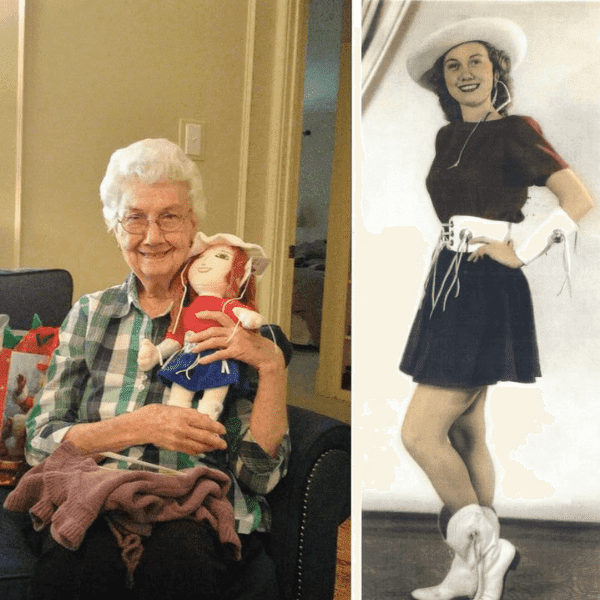 Right Side Photo: Shirley surprised her mother with a Selfie—her mom was a KC Rangerette from 1945-1947. What an amazing gift! “Thank you Budsies! You guys did such a great job with awesome attention to detail and craftsmanship. My sister LOVED her selfie! !